The microampere meter gives full scale deflection for 0.1 V input. 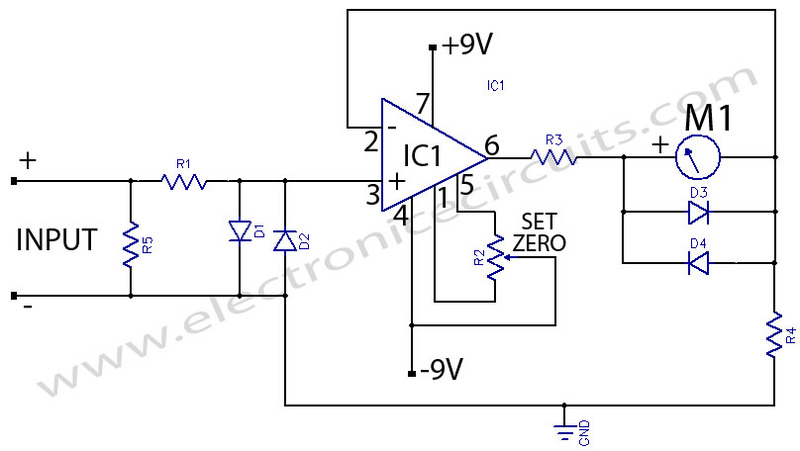 The current to be measured is passed through a known resistance R and the voltage drop across it is measured. The this table shows the relationship between different values of R5 and the current that will give full scale deflection. 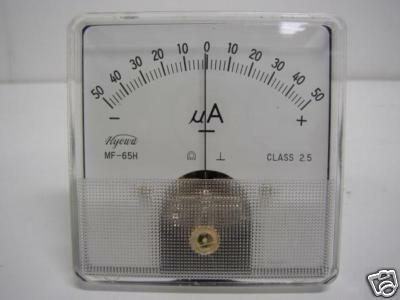 A high impedance Micro Ampere meter using a 741 .The operational amplifier is used as a non-inverting dc amplifier in which the negative feedback is through a dc meter requiring 1mA for full scale deflection. Diodes D1 and D2 protect the IC from accidental excessive input voltages and diodes D3 and D4 protect the meter from overloads.